We all love supporting our teams, getting behind them for a whole 80 minutes, but if we’re being honest, there are a few rugby stars out there who we HATE. He stood by his controversial comments on homosexuality and revealed he offered to walk away from his Rugby Australia contract if his position was deemed to be untenable. 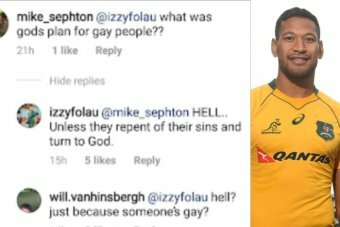 The Australia and Waratahs full-back avoided punishment for saying homosexuals should go to “hell”unless they “repent their sins and turn to God”. This sort of backwards thinking doesn’t belong in rugby!